Your family will "flip" for this surprisingly easy dessert! Topping: Preheat oven to 350 degrees. In a 9-inch round cake pan, melt butter. Remove from oven, sprinkle brown sugar evenly over butter. 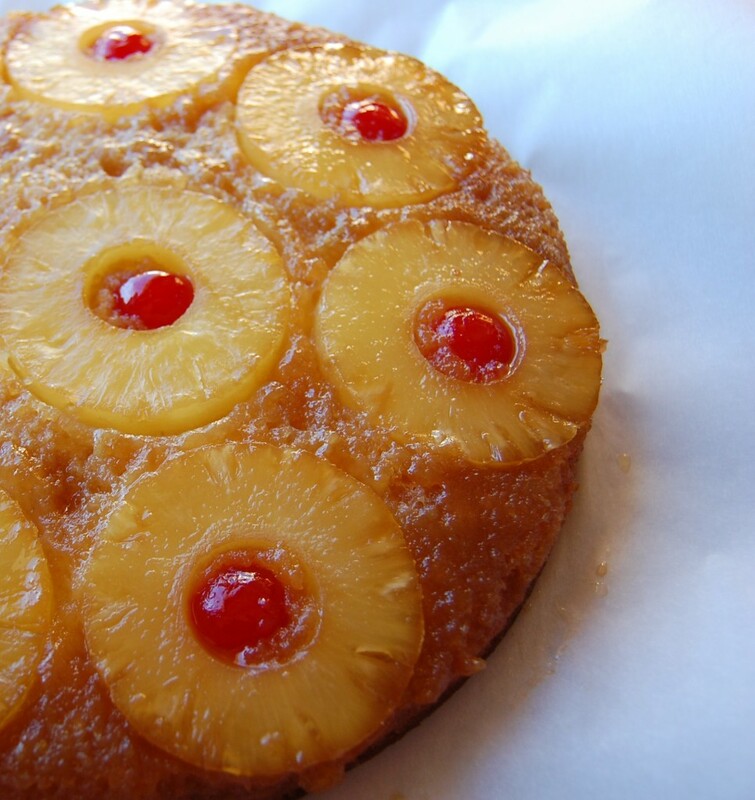 Place one pineapple slice in the middle of the pan. Arrange the remaining slices to fit, cut in half in needed. 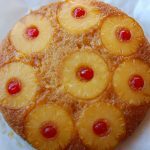 Place a cherry in the middle of each pineapple slice. Set aside. CAKE: Combine all ingredients in a large mixing bowl. Beat on low speed for 1/2 minute, scraping the bowl constantly. Beat for 3 minutes on high, scraping the bowl occasionally. Pour cake batter evenly over fruit in pan. Bake 40-45 minutes or until a wooden toothpick comes out clean. You may need to cover with foil if cake gets too dark. Invert onto a plate and allow cake to cool. Serve at room temperature.